Blender is a fast, powerful, and free 3D graphics and animation tool. The Blender Book by Carsten Wartmann shows you how to use Blender efficiently and creatively with clear step-by-step tutorials that teach all aspects of this often tricky program. You'll learn how to enhance your Web sites, graphic designs, and videos with the 3D graphics and animations you'll create in Blender. 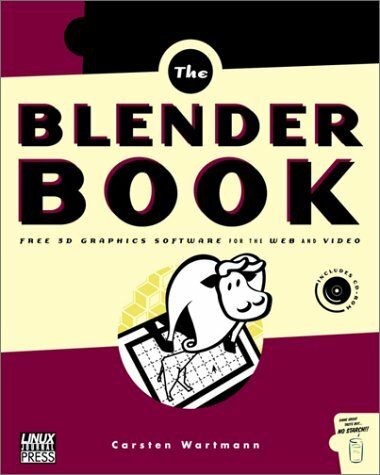 The bundled CD includes the Blender software for all platforms, as well as textures from the digital design library and the tutorials, scenes and animations from the book. Carsten Wartmann is the author of The Blender Book and co-author of The Official Blender Guide. He is a computer graphic designer living in Berlin, Germany.